Now for something a little different from the usual reptiles and assorted animals. A mech! 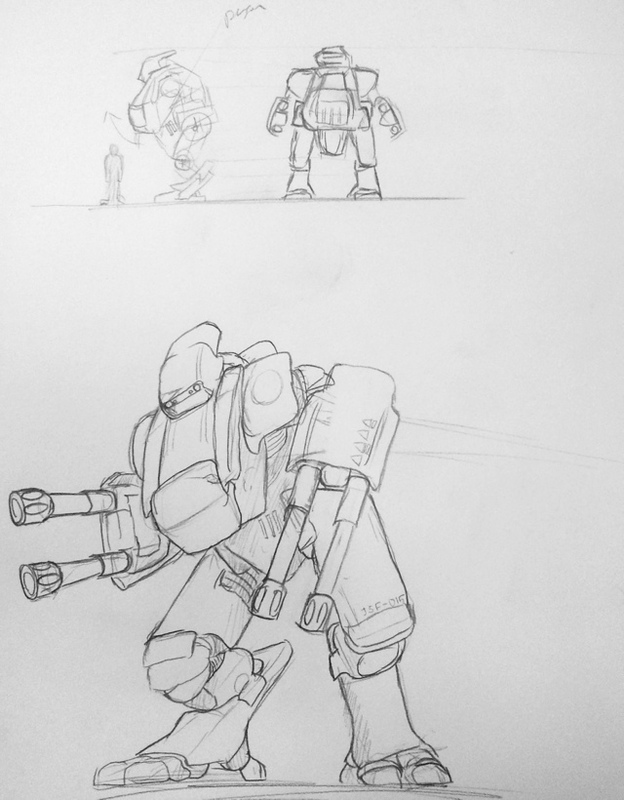 This entry was posted in Quick Desksketch and tagged mech, robot by Anthony. Bookmark the permalink.